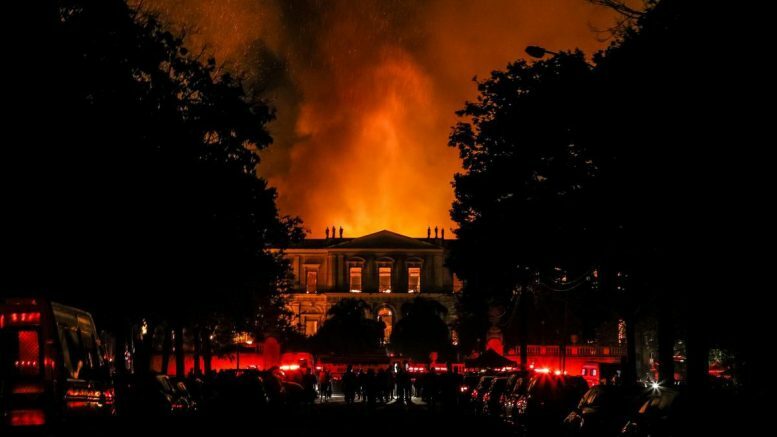 Brazil’s National Museum in Rio de Janeiro, was destroyed by a massive fire late Sunday and from what my instincts tell me, someone was destroying something to stop the truth from getting out. The timing was suspect…. The museum was exactly 200 years old. What truth did they want to hide? Who wanted “something” from getting out? And who made sure the fire was thorough in it’s destruction? There are more “coincidences” in this museum tragedy than you can even imagine. Did this museum house something aquired by the Nazi’s living in Brazil? We know that about 1600 of them lived in Brazil as well as others who moved to Argentina and nearby South American countries. The cause of the fire that broke out Sunday night is not known. Will we ever know, even if they find out? The museum boasted the largest archive of historical artifacts and documents in Latin America. In fact, there were some 20 million pieces from around the world. Museum officials say it’s too soon to tell what has been lost or spared, as firefighters were still assessing whether it was safe to enter. This was a huge fire. It was a fire that destroyed everything and Cristiana Serejo, a vice-director of the museum, told the news people that as little as 10 percent of the collection may have survived. 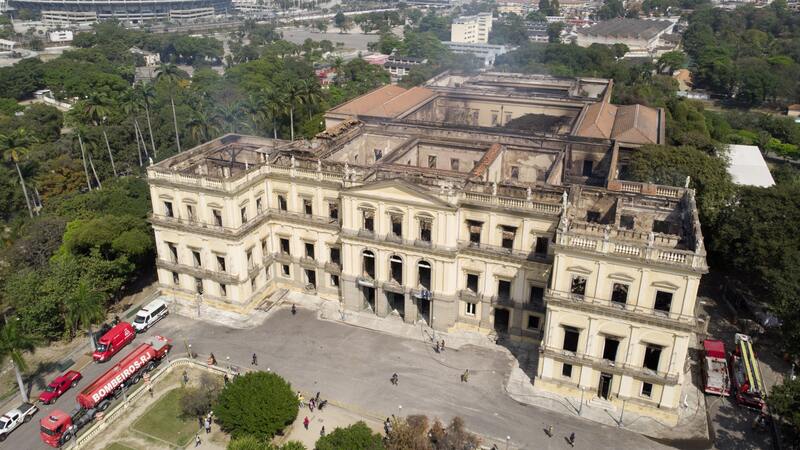 This Brazilian museum fire was comprehensive and complete in destroying whatever it is “they” intended to destroy. When I saw this story, I knew immediately that this was not an accident. You can tell by the fire raging like an inferno with the same intensity all throughout the building. Discovered during an excavation in 1975 outside of the Brazilian city of Belo Horizonte, the fossilized remains sat in storage for two decades. In the mid-1990s, tests by scientists determined it was the oldest fossil in the Americas. It was given the name “Luzia,” homage to “Lucy,” the famous 3.2-million-year-old remains found in Africa. Among the Egyptian relics is the mummy of Sha-Amun-In-Su, dating back to 750 B.C. The mummy was in its original coffin, which was closed. It was given to Dom Pedro II by Egyptian Viceroy Ismail Pasha during a visit to the Middle East. One of the museum’s most important expositions of indigenous peoples were three bodies mummified together, an adult and two children. It was originally found in the state of Minas Gerais. 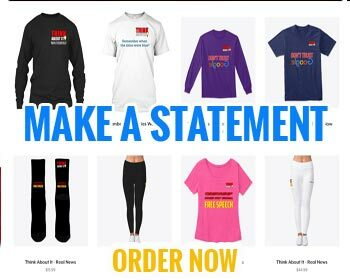 The collection also includes bows and arrows from different indigenous groups and explanations about studies conducted by the royal family on the Tupi and Guarani languages. Called Bendego and weighing more than five tons, the meteorite is the largest ever found in Brazil. It was found in the state of Bahia in the 18th century. The meteorite, which sits in a main entrance, could be seen in the burned-out building. 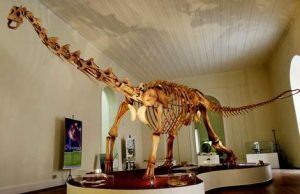 One of the museum’s most popular displays was one of its biggest, a dinosaur called Maxakalisaurus tapai. Found in Minas Gerais in 1998, the excavation and reconstruction of the dinosaur took 10 years. In that the museum contained 20 million items, they had just about everything displaying science, such as Zoology, Archeology, Ethnology, Geology, Paleontology and Biological Anthropology. Since its founding in 1818 by King Dom João VI, it was also a research center, a vocation that became more pronounced after 1946, when it was incorporated into the University of Brazil (now UFRJ). What else was happening in the year 1946? As World War II was entering its final stages, American and British organizations teamed up to scour occupied Germany for as much military, scientific and technological development research as they could. 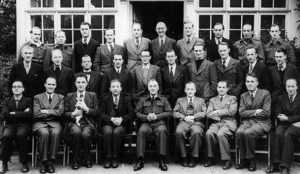 Allied combat troops, began confiscating war-related documents and materials and interrogating scientists as German research facilities were seized. They found a catalogue of scientists and engineers that had been put to work for the Third Reich. 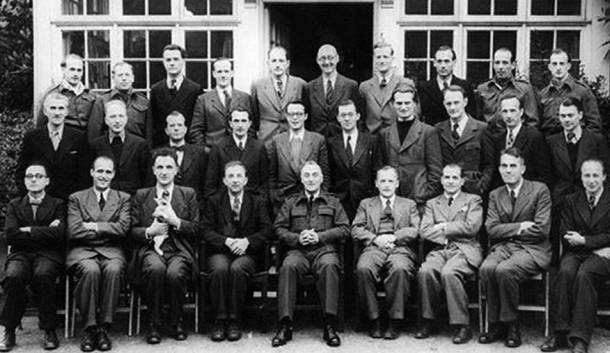 In a covert affair named Operation Paperclip, roughly 1,600 of these German scientists (along with their families) were brought to the United States to work on America’s behalf during the Cold War. The program was run by the newly-formed Joint Intelligence Objectives Agency (JIOA), whose goal was to harness German intellectual resources to help develop America’s arsenal of rockets and other biological and chemical weapons, and to ensure such coveted information did not fall into the hands of the Soviet Union. One of the most well-known recruits was Werner von Braun, the technical director at the Peenemunde Army Research Center in Germany who was instrumental in developing the lethal V-2 rocket that devastated England during the war. Von Braun and other rocket scientists were brought to Fort Bliss, Texas, and White Sands Proving Grounds, New Mexico, as “War Department Special Employees” to assist the U.S. Army with rocket experimentation. Von Braun later became director of NASA’s Marshall Space Flight Center and the chief architect of the Saturn V launch vehicle, which they claimed to eventually propel two dozen American astronauts to the Moon. Argentina maintained close ties with Germany and remained neutral for much of World War II. In the years after the end of the war, Argentine President Juan Peron secretly ordered diplomats and intelligence officers to establish escape routes, so-called “ratlines,” through ports in Spain and Italy to smuggle thousands of former SS officers and Nazi party members out of Europe. Peron had been drawn to the ideologies of Benito Mussolini and Adolf Hitler while serving as a military attaché in Italy during the early years of World War II. The Argentine president also sought to recruit those Nazis with particular military and technical expertise that he believed could help his country, much like the United States and the Soviet Union who both poached scientists from the Third Reich to assist them in the Cold War. In 1946 the Peron government sent word through Argentine Cardinal Antonio Caggiano to a French counterpart that the South American country would be willing to receive Nazi collaborators from France who faced potential war crimes prosecution. That spring, French war criminals carrying passports issued by the International Red Cross stamped with Argentine tourist visas began to cross the Atlantic Ocean. In their attempts to aid Catholic refugees amid the post-war rise of communist regimes across Europe, numerous Vatican officials unwittingly aided in the escape of Nazi war criminals, but some clerics like Bishop Alois Hudal did so with full knowledge of their actions. Hudal, an Austrian-born admirer of Hitler who ministered to prisoners of war in Rome, admitted to abetting Nazi war criminals by providing them with false identity documents issued by the Vatican that were then used to obtain passports from the International Red Cross. The collection contained extensive paleontological, anthropological and biological specimens. Fire department spokesman Roberto Robadey said firefighters got off to a slow start because the two fire hydrants closest to the museum did not work. Trucks had to gather water from a nearby lake. Serejo said that smoke detectors were not working. There are just TOO MANY “coincidences” to blame it on an old building and poor maintenance. Knowledge and information is getting out to people at record speed and volume, but there is also a concerted effort to restrict the information we learn. Satan continues to move men in concealing things that prove God is real and everything in the Bible is fact. The earth was created by God as it says in Genesis. The earth IS flat with a dome over it and “uncovering” the evidence of mankind’s history with the fallen angels is something they cannot afford to be revealed. If ALL truth was ever allowed to come out, it would blow Satans cover and cause the masses to turn to a trust in Jesus Christ. The adversary will do everything he can to stop that. P.S. You do know that NASA is a fraud and like all the globalists, they have lied to us from the beginning. 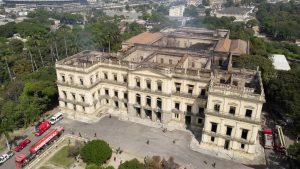 Be the first to comment on "Did They Burn Brazil Museum To Stop The Truth From Getting Out?"